Pakistan and Sri Lanka have more often than not produced some hard-fought cricket in contests against each other in recent times. The upcoming series will be the third instance in three years of the two Asian teams taking on each other in a three-Test series. Sri Lanka are finally playing Test cricket after a long period which consisted of an overdose of forgettable limited-overs games. The series will consist of three back-to-back Tests at three different venues in the UAE, which has been Pakistan’s home ground for the last five years. The first Test will be played from New Year’s Eve, i.e December 31 to January 4 at the Sheikh Zayed Stadium in Abu Dhabi. Dubai’s International Cricket Stadium will host the second Test from January 8-12. The concluding Test will be played from January 16-20 at the Sharjah Cricket Stadium. Pakistan have yet to be defeated in four Tests at Abu Dhabi where they have won twice and drawn twice, the latest instance being their win over South Africa two months ago. At Dubai, Pakistan have three wins and one loss from five Tests, their only defeat coming against South Africa last month. 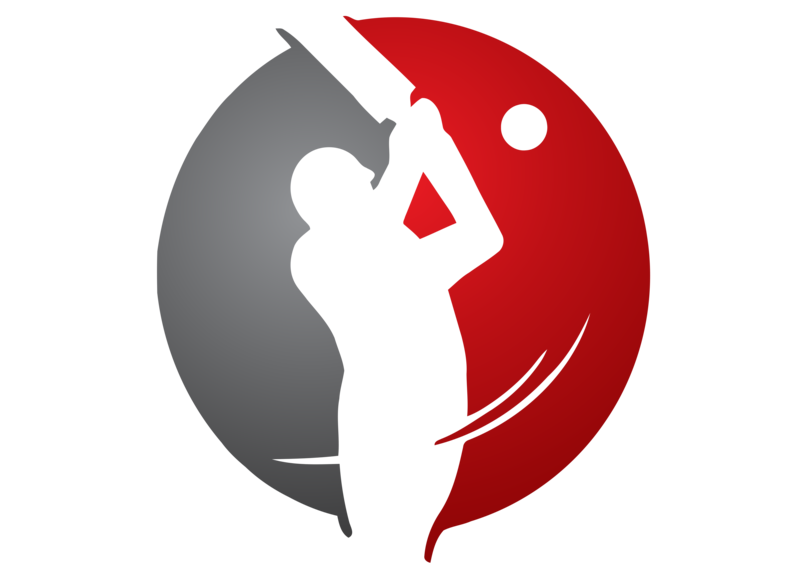 Their record at Sharjah is mixed with two wins and defeats each from five games. 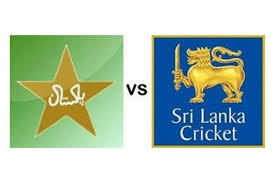 Sri Lanka have played once at each of the venues, all in the 2011-12 series against Pakistan. They had lost at Dubai and drawn at the other two venues. Pakistan – Misbah-ul-Haq (captain), Mohammad Hafeez, Ahmed Shehzad, Khurram Manzoor, Shan Masood, Azhar Ali, Asad Shafiq, Younis Khan, Adnan Akmal, Junaid Khan, Saeed Ajmal, Abdur Rehman, Umar Gul, Rahat Ali, Mohammad Talha. Pakistan’s main strength in the Gulf conditions will of course be their spin duo of Saeed Ajmal and Abdur Rehman. A notable omission from the squad is the left-arm spinner Zulfiqar Babar, who was quite impressive against South Africa in October. Mohammed Hafeez returns to the side riding on his rich vein of form in the just-concluded ODI series over Sri Lanka. Another key comeback man is fast bowler Umar Gul who last played a Test in February. Mohammed Talha, a fast bowler, has earned a call-up more than four years after playing his only Test. Hafeez’s return will mean that competition for the opening slot will tighten, what with the assured new pair of Shan Masood and Khurram Manzoor at the top. The first-choice pacers are expected to be Junaid Khan and Gul. Captain Misbah ul-Haq, aged 39, has been a tireless performer for his country in all the formats over the last year or so. With the Pakistan top order often prone to catastrophic collapses, his own form as well as that of his fellow senior Younis Khan’s will be vital to his team’s fortunes. His hunger for runs has not diminished – rather it has been the opposite – as an average of 72.5 in his last four Tests suggests. Misbah is yet to lose a Test to Sri Lanka as captain. Sri Lanka – Angelo Mathews (captain), Dinesh Chandimal, Kumar Sangakkara, Mahela Jayawardene, Kaushal Silva, Dimuth Karunaratne, Lahiru Thirimanne, Prasanna Jayawardene, Nuwan Kulasekara, Suranga Lakmal, Shaminda Eranga, Nuwan Pradeep, Sachithra Senanayake, Rangana Herath, Dilruwan Perera, Vishwa Fernando. The Sri Lankans have named three uncapped players in their 16-man squad – left-arm seamer Vishwa Fernando and off-spinners Sachitra Senanayake and Dilruwan Perera. Tillekaratne Dilshan’s retirement has paved the way for Kaushal Silva to prove himself in Test cricket – he is expected to open with Dimuth Karunaratne. The seasoned campaigners include Kumar Sangakkara, Mahela Jayawardene and Prasanna Jayawardene, who returns as wicket-keeper. Though left-arm spinner Rangana Herath is a top-class bowler, the pace bowling stocks appear to be thin, with Nuwan Kulasekara being the spearhead of an inexperienced attack. Sri Lanka are undergoing an inevitable transition phase, and the successors to Sangakkara and Jayawardene are tipped to be Dinesh Chandimal and Lahiru Thirimanne. Skipper Angelo Matthews will have a huge challenge over the next few years as his team is likely to see many more changes. His own form with the bat has been patchy of late with a recurring failure to convert good starts. Sri Lanka’s poor overseas record coupled with their indifference towards Test cricket will make the job all the more tougher. In more than 30 years since playing each other for the first time, Pakistan and Sri Lanka have contested 43 Tests in all, with Pakistan winning 16, Sri Lanka winning 10 and 17 being drawn. Sri Lanka’s record against Pakistan away from home reads six wins and ten defeats in 25 Tests. In the UAE, the two teams have played thrice – all coming in the 2011-12 series, which was won 1-0 by Pakistan. The latest series was played in 2012 in Sri Lanka, where the hosts won a three-Test series 1-0. The last time Sri Lanka won an away Test over Pakistan was in 2004-05. The last time Sri Lanka won an away series against Pakistan was in 1999-00 (winning a three-Test series 2-1), which also happens to be their last away series win against a ‘top eight’ nation. Pakistan are currently ranked 4th in the Test rankings, a good 14 points behind 3rd-placed England. They last played against South Africa in the UAE in October, where they performed commendably to hold the world champions to a 1-1 draw in the two-Test series. Prior to that however, they had an ordinary two-Test series in Zimbabwe which also ended in a 1-1 draw, which in turn came after a 3-0 whitewash defeat in South Africa in February. Their last series win came in 2011-12 when they blanked England 3-0. Pakistan have yet to lose a series in the UAE after it became their new home ground, where they enjoy a record of two series wins and two draws since 2010-11. Sri Lanka have themselves to blame for the lack of Test fixtures of late. They cancelled series in the West Indies and at home against South Africa at the start of the season for the sake of one-day cricket. Their latest Test assignment was at home against Bangladesh in March, a two-Test series which they won 1-0. Their last series against a higher-ranked team was a year ago in Australia, where they were blanked 3-0. Indeed, their overseas record has been extremely worrisome for a long time – they have failed to win an away series against a ‘top eight’ nation since 1999-00. Also, they have managed to win only one of their last four home series against top opposition. They are currently ranked 6th in the Test rankings. Azhar Ali is no doubt one of the better batsmen to have played for Pakistan in the last few years, and he has shown that he has the required temperament to handle difficult situations. However in his last six innings, he has averaged only 9.83 and there could be no better opponent than Sri Lanka for him to come back into form. Ali averaged 65.75 in the 2011-12 home series against Sri Lanka and then 60.00 in the 2012 series in Sri Lanka, and has scored three of his four Test hundreds against them. The 28 year-old right hander looks to have a long career with Pakistan and should be persisted with in spite of the past few poor performances. Ever since the great Muttiah Muralitharan retired in 2010, the burden of heading Sri Lanka’s bowling has fallen on the under-rated Rangana Herath. And the 35 year-old left-arm spinner has fully lived up to expectations, both at home and away. Being a Test specialist, he will certainly relish the opportunity to bowl on the slow tracks expected to be rolled out. He had topped the wicket-taking charts in 2012 with 60 scalps, and would have been near the top in 2013 as well had it not been for Sri Lanka’s Test-culling. He took 12 wickets in his most recent Test, against Bangladesh. Pakistan have always been a tough nut to crack in the UAE, and Sri Lanka will have their task cut out after a long lay-off from Test cricket. Moreover, Pakistan’s relative all-round strength gives them a definite edge. I expect the hosts to win by a margin of either 2-0 or 1-0.